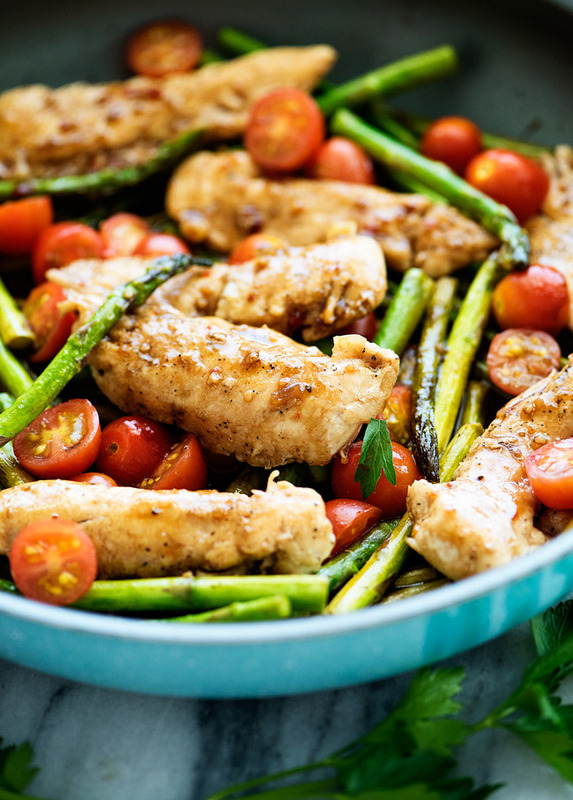 A heavenly glaze coats this ONE PAN BALSAMIC CHICKEN AND VEGGIES meal. This dish is packed with flavor and it’s good for you! The entire family will ask for this one again. You may have noticed that I have re-posted a few of my favorite healthy recipes this week. 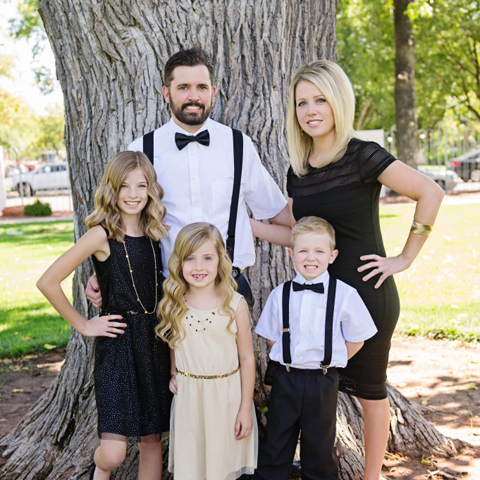 The holidays were CRAZY for me, like I am sure for you as well, so I honestly didn’t get to cook too much for the blog. Just keepin’ it real. 🙂 I panicked last week and thought, ‘Oh no, I have no new recipes to share next week!’ So it got me thinking that I should share some of my oldies but goodies that I felt got lost in the dust. 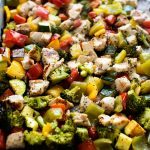 This BALSAMIC CHICKEN AND VEGGIES is a recipe I truly love. I make it for my family when I feel like something healthy yet delicious. 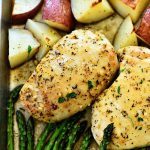 I love all the flavors of this awesome one pan meal and I know you will too once you give it a shot! So this week I have put myself straight into work mode and started on some new recipes. I made and photographed two today that I will post next week so stay tuned! 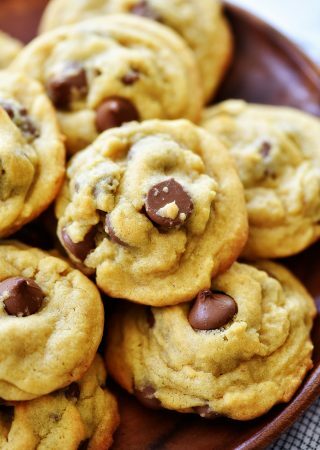 They are healthy, delicious and easy peasy. Just like I love. 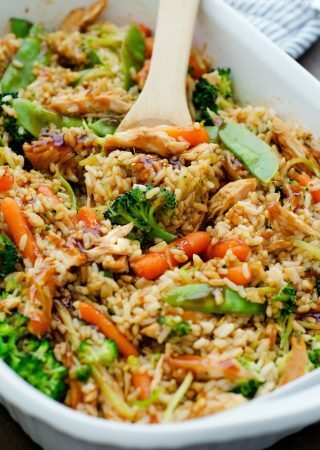 The balsamic vinegar and honey creates a glaze that coats the chicken & veggies perfectly and the flavor is undeniable. 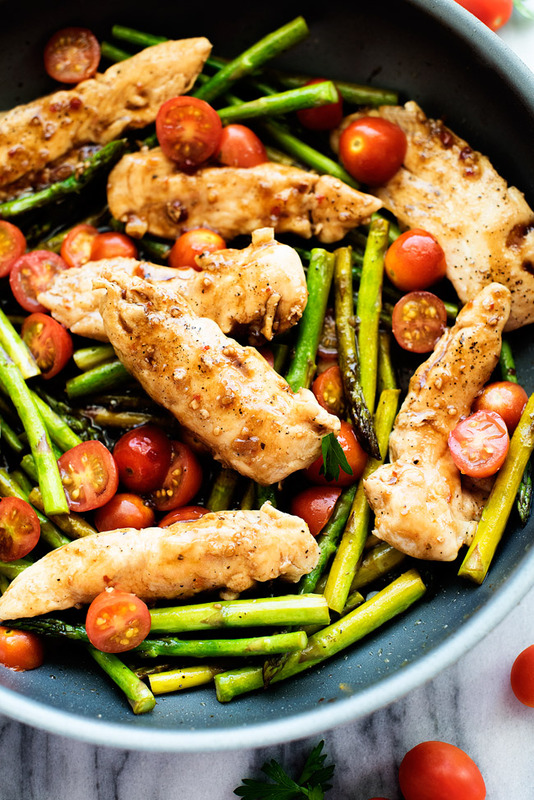 This healthy one pan meal is definitely now a new favorite of mine! 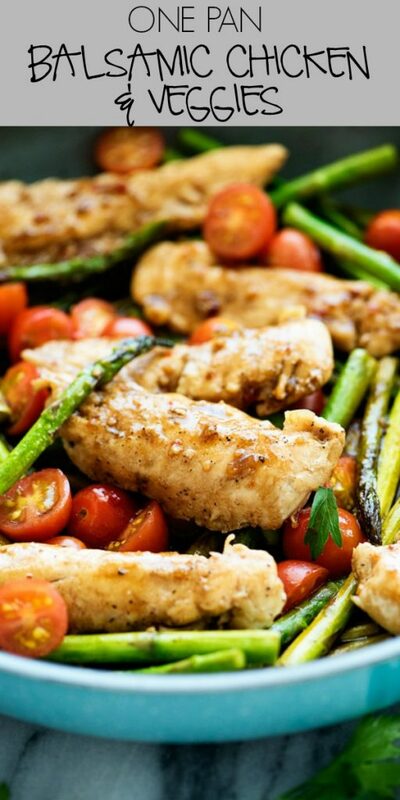 Balsamic vinegar and honey creates a glaze to coat tender chicken and veggies. 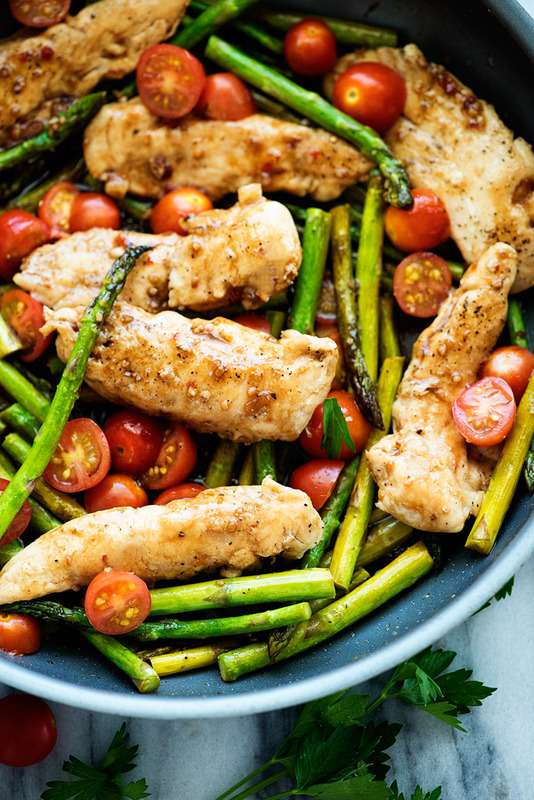 This amazing meal is made in just one pan for easy clean-up! In a medium bowl, whisk together Italian salad dressing, balsamic vinegar, honey and red pepper flakes. Set aside. Heat olive oil in a non-stick 12-inch skillet over medium-high heat. Season chicken with salt and pepper then set chicken evenly in skillet. Cook for 6 minutes, then flip to other side and cook another 6 minutes or until cooked through. Add half of the balsamic mixture to skillet and stir to coat chicken. Remove chicken from skillet and place on a plate. Cover plate with foil to keep warm. Add asparagus to warm skillet. Season with salt and pepper. Stir and cook for 5 minutes or until crisp-tender. Add chicken back to skillet along with the grape tomato halves. Pour in the rest of the marinade. Gently stir and cook another 5 minutes or until everything is heated through. I’ve made this a handful of times and I love it! It’s a hit at my house! Have you ever used Kitchen Bouquet? I was thinking it might add to your beef stew. The balsamic chicken looks good. I have been a really top notch cook my whole life but getting lazy in my old age. I like easy dishes these days. This was delicious! And easy! I’ll be making this often. Thank you! This is my first recipe and it was fantastic! Such great flavor and a perfect one dish meal. Loving your site and can’t wait to try more recipes!